This classic was written more than a hundred years ago by a high-school mathematics teacher. to our three-dimensional world. Many things we take for granted in our world need re-working in a two-dimensional world! Written with clarity and humour, it provokes imagination and wonder, as the author shows us how difficult it would be for the Flatlanders to imagine a creature from the Third dimension, an encounter one of them experiences. This serves as a prelude to our own difficulties of imagining higher spatial dimensions which are the backbone of many modern speculations in modern physics. Stories of the great theorems of mathematics and the people who made them. Dunham brings the subject to life. A slim book, easy to read and enjoy! Can you enjoy mathematics while learning it for school? 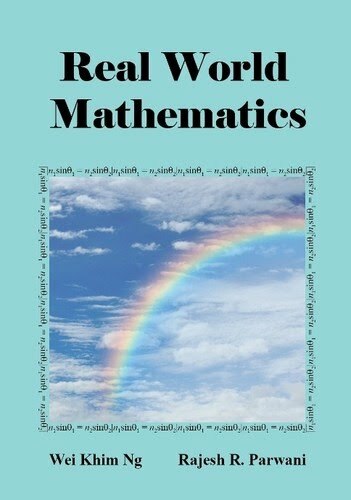 In addition to the usual problems, this book has challenges, suggested investigations, historical vignettes, puzzles, and unsolved research problems: The aim is to show that mathematics is more than an examination subject--- a living, evolving discipline with myriad connections to the real world. A different edition, with the same content but simpler cover (no flaps), standard binding and page size is available from Amazon. Problems, hints and solutions from Stanford University’s past competitive examination in mathematics. Good for those seeking challenges or thinking of the Mathematics Olympiad. A classic from Russia , which became a bestseller when it appeared in the english speaking world thanks to a translation and edit by the legendary martin Gardner. Many unusual puzzles and brain teasers. Some require just logic and clear thinking, while soem require basic mathematical tools. The statement of Fermat's Last theorem is very easy to understand, looking like a slight generalization of Pythagoras theorem of high-school mathematics. Fermat claimed he had a proof, but nobody could reproduce it for hundreds of years. The riveting story behind this theorem, and how it was dramatically settled by Wiles in the 1990's is told here. Recommended reading for those wish to get a look into the human element of mathematics. In this popularization, Ian Stewart presents a collection of 17 equations which have influenced human development. This brings to life the mathematics that most students take for granted. Click on the book image to go to the Amazon product page or click here to get the book from the SRI Bookstore. Why study logarithms, or the periodicity properties of trigonometric functions? Why is it useful to know the solution to a quadratic equation or how to find the gradient to a curve? This book illustrates practical real-life uses for the mathematics concepts and tools that many students find mystifying and abstract. It is intended primarily as a resource for teachers and students engaging in self-study. The second half of the book has a discussion of mathematical modelling and the scientific method and summary chapters on the conceptual background for the problems in the first part of the book.